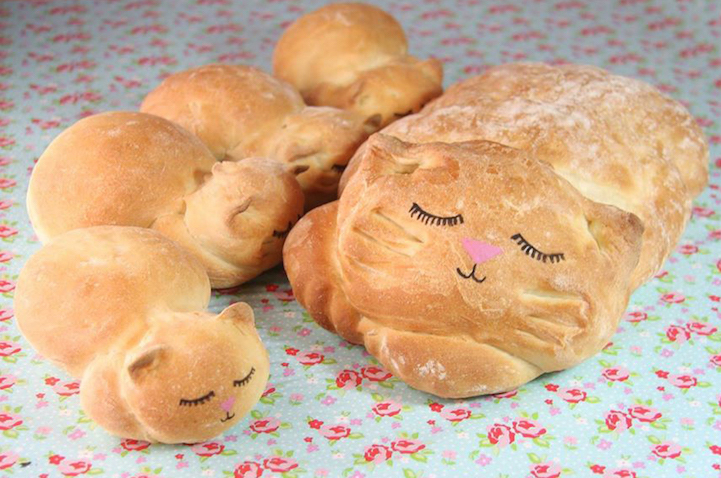 Baker Turns Loaves of Bread into Adorably Sleepy “Catloaf” « Adafruit Industries – Makers, hackers, artists, designers and engineers! Super cute idea via My Modern Met. If you’re a cat owner, then you’ve probably seen a “catloaf” before. It’s when your furry friend tucks their paws underneath their body and looks like a loaf of bread that just came out of the oven. Yorkshire baker Lou Lou P’s Delights created an adorable homage to this pose with her edible catloaf. Using an ordinary bread recipe, she molded and formed the dough into a easily-recognizable cat body, down to the little ears on its head. Lou Lou then drew a sleepy expression on the face of the loaf, which adds even more cuteness to this creation.